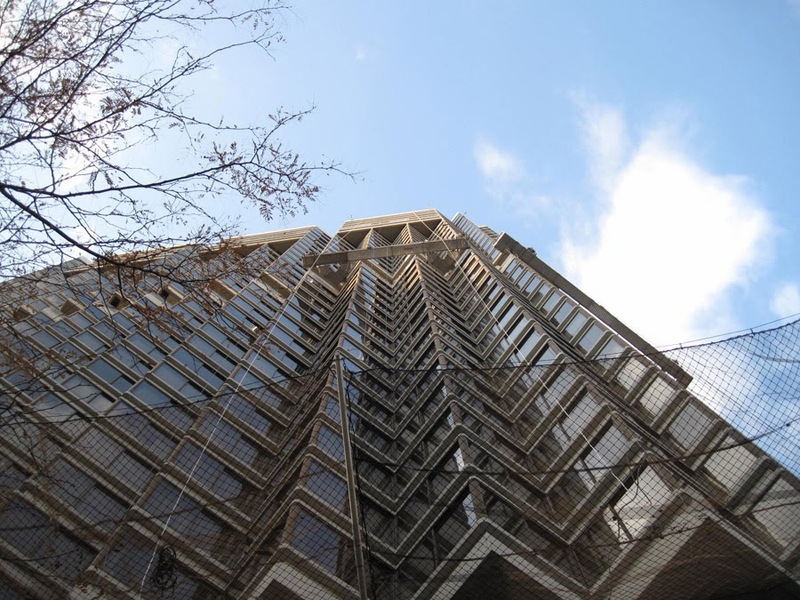 The angled exterior design of the Rittenhouse Hotel by architect Donald Reiff allows stunning views of Rittenhouse Square and the city below but poses an interesting challenge for crews that need to work on the facade of the building. Traditional wisdom would say hang a work cage and move it ten thousand times or a standard platform across the jutting corners and try your best to reach in to work on the windows. But that’s where traditional wisdom ends and sheer innovative genius begins. 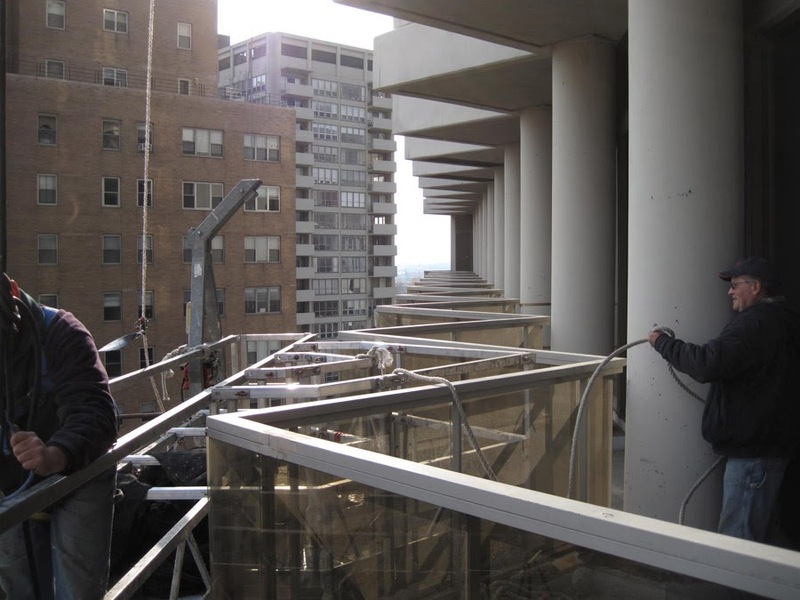 The guys at Superior Scaffold wanted something safer and more cost effective. And sometimes when we come up with something that’s never been done before it’s necessary to turn to the designers of the equipment we use for assistance. And in this case, it was Bee Access. 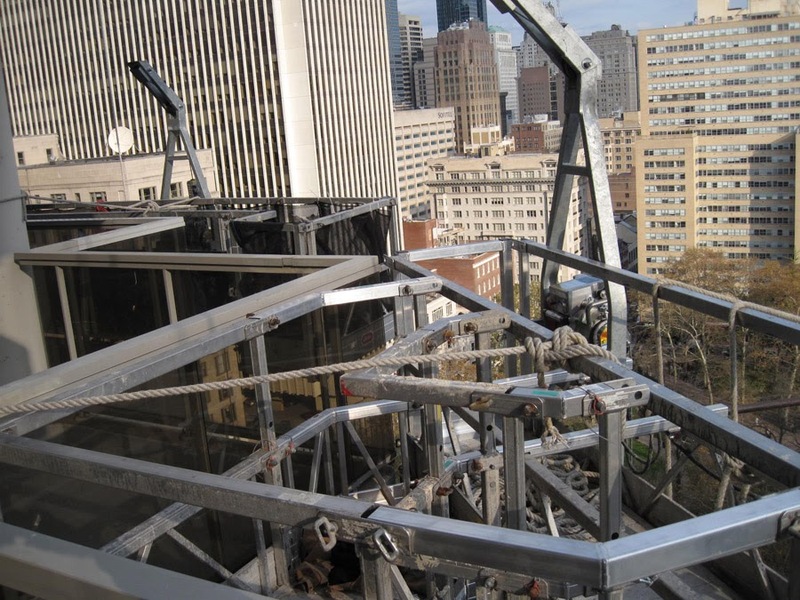 In collaboration, Superior Scaffold’s Bob Sarkisian and Bee Access’ designer Tom DeJong came up with a brilliant solution for this complex problem: Saw-toothed porch brackets that mount directly to the modular staging and allow crews total access to the exterior of this uniquely shaped building. If you ask Bob – he’ll tell you he designed it and Tom blessed it but if you ask Tom he’ll say he designed it and Bob implemented it. Either way, it is one of the coolest designs we’ve created. 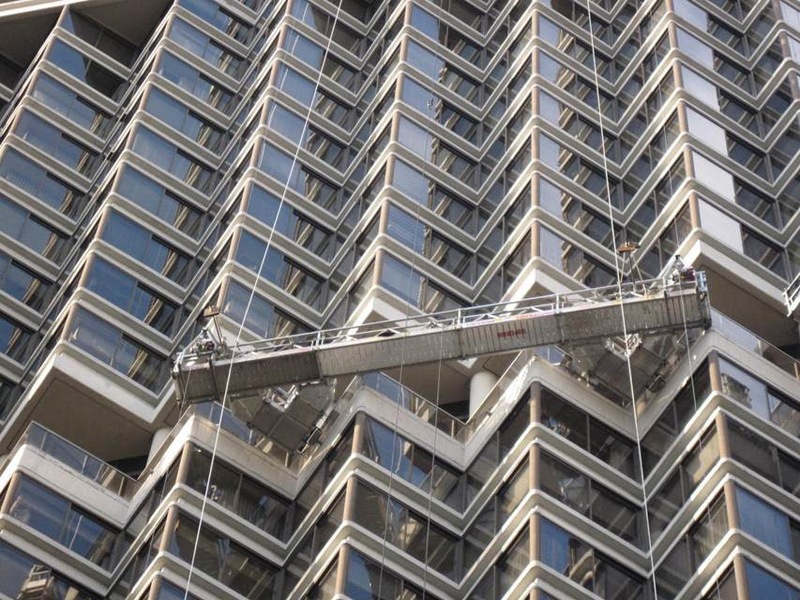 One thing is for sure, Tom’s ability to think outside the box (coupled with his ability to put his stamp of approval on Superior’s designs) has lead to a most fruitful collaboration on many projects. Here, you can really see how these brackets are mounted onto the side of the staging as our guys were installing them prior to their deployment. You can see just how incredibly well these brackets fit inside of the corners of the building. Tom must have sounded like Dr Frankenstein saying “My Creation…It lives!” when we sent him these photos. 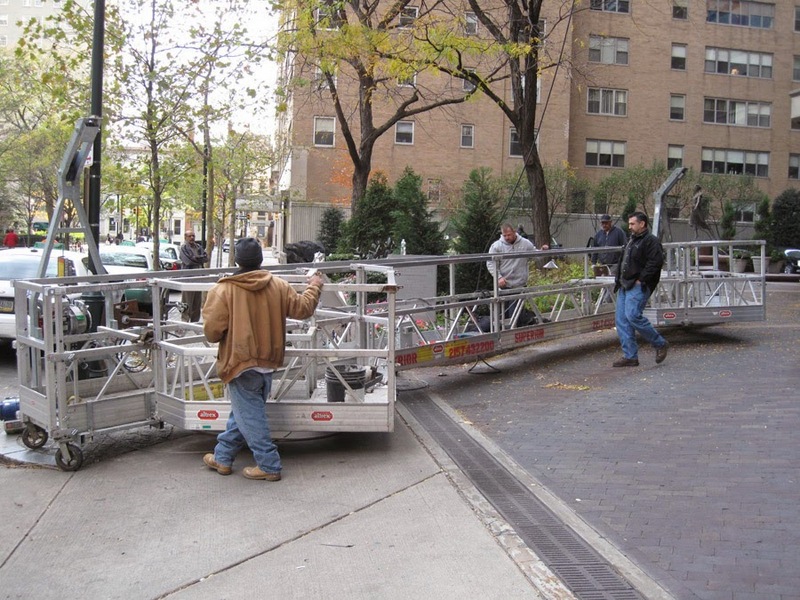 It’s another example of just how adaptable our Altrex staging can be. We have done many odd shaped jobs with great success. You can see additional work on our website. Even Frank Llyod Wright can’t design a building we can’t figure out how to access. The Rittenhouse Hotel has a long and fascination history. Read more about it here. Photo linked to the world property channel. Here is a shot of what the exterior of the entire building looks like. 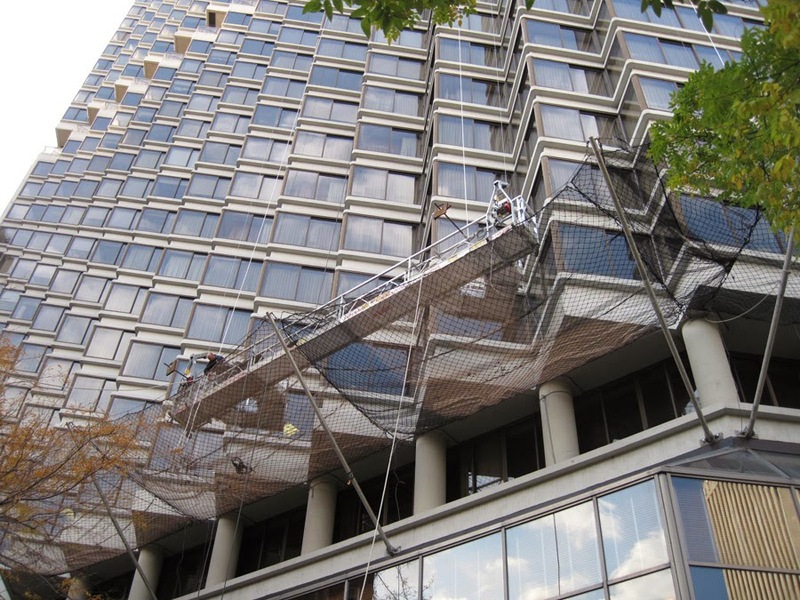 If you need innovative solutions to your access challenges call Superior Scaffold at (215) 743-2200 or visit http://www.superiorscaffold.com today. 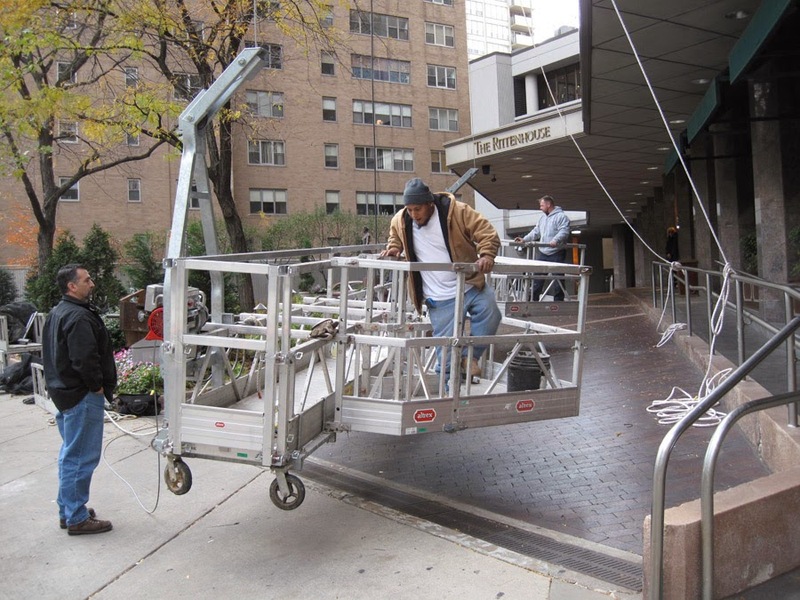 Posted on March 11, 2014, in News & Updates, Suspended and tagged 215 743-2200, building materials, construction, DE, equipment rental, General contractor, inspection, ladders, leasing, masonry, MD, NJ, NY, phila, rent, Rental, renting, rents, Rittenhouse Hotel, Rittenhouse Square, scaffling, scaffold, scaffold PA, scaffolding, scaffolding philadelphia, scaffolding rentals, scafolding, superior scaffold. Bookmark the permalink. 1 Comment.